Split brain is a lay term to describe the result of a corpus callosotomy, a surgical procedure—where a bundle of nerve fibers connecting the left and right brain hemispheres (i.e., the corpus callosum) is severed—used to alleviate severe epilepsy among patients. This condition was made famous by the work of Nobel laureates Roger Sperry and Michael Gazzaniga. In their canonical work, Sperry and Gazzaniga discovered that split-brain patients can only respond to stimuli in the right visual field with their right hand and vice versa. This was taken as evidence that severing the corpus callosum causes each hemisphere to gain its own consciousness. Now, a new study led by University of Amsterdam psychologist Yair Pinto challenges the established view that so-called split-brain patients have a split consciousness. In their study, patients were placed in front of a screen, shown various objects displayed in several locations, and then asked to confirm whether an object appeared and to indicate its location. To the researchers’ surprise, the patients were able to respond to stimuli throughout the entire visual field with all the response types: left hand, right hand and verbally. "The patients could accurately indicate whether an object was present in the left visual field and pinpoint its location, even when they responded with the right hand or verbally," said Pinto. This was despite the fact that their cerebral hemispheres could hardly communicate with each other. 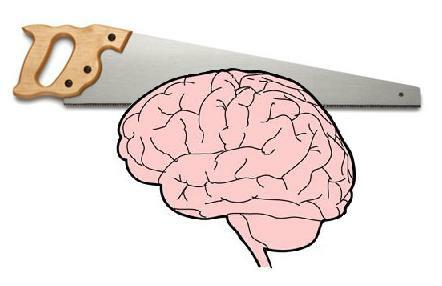 A depiction of the traditional view of the split brain syndrome (top) versus what the researchers actually found in two split-brain patients across a wide variety of tasks (bottom). According to Pinto, the results present clear evidence for unity of consciousness in split-brain patients. "The established view of split-brain patients implies that physical connections transmitting massive amounts of information are indispensable for unified consciousness—that is, one conscious agent in one brain. Our findings, however, reveal that although the two hemispheres are completely insulated from each other, the brain as a whole is still able to produce only one conscious agent. This directly contradicts current orthodoxy and highlights the complexity of unified consciousness." Dopamine neurons in a brain region known as the substantia nigra pars compacta can alter the perception of time, according to new research published in Science. Stimulating or inhibiting these cells makes mice behave as if time is moving faster or slower, the researchers found. More specifically, boosting dopamine activity slows down the animals’ internal clock, leading them to underestimate time intervals. The study—the first to look so precisely at dopamine activity during timing judgments—provides a potential molecular mechanism for the perception that time flies when you're having fun, and that it slows to a trickle when you're bored. In their experiments, Joseph Paton (Champalimaud Centre for the Unknown, Portugal) and colleagues used fiber photometry to measure activity in dopamine neurons of the substantia nigra pars compacta as mice listened to two tones and then indicated whether the delay between them was shorter or longer than 1.5 seconds. Paton’s team found that dopamine activity varied but was correlated with the animal’s perception of time. When dopamine activity was high, the animal was more likely to judge an interval as short, and vice versa. The pattern was particularly strong for difficult trials, in which the interval between tones was close to 1.5 seconds. In a second set of experiments, the researchers used optogenetics to activate or silence the dopamine neurons. Consistent with the photometry measurements, altering neuronal activity made the animals under- or overestimate the duration of intervals. One of dopamine’s primary roles in the brain is as a reinforcement signal when an animal gets an unexpected reward. This encourages the animal to seek out that situation again in the future. Time plays an important role in that process—a reward that comes earlier than expected triggers the dopamine signal. And time is a key component of the equations that describe reward error prediction. The researchers next plan to look at other brain regions that produce dopamine, including the ventral tegmental area, which has been implicated in reward, reinforcement and addiction. Harvard University researchers have developed a multi-regional brain on a chip that models the connectivity between three distinct regions of the brain: the amygdala, prefrontal cortex, and hippocampus. The in vitro model was used to extensively characterize the differences between neurons from different regions of the brain and to mimic the system’s connectivity. Image of the in vitro model showing three distinct regions of the brain connected by axons. NeuroscienceNews.com image is for credited to Disease Biophysics Group/Harvard University. To demonstrate the chip’s efficacy in modeling disease, the team doped different regions of the brain with the drug Phencyclidine hydrochloride—commonly known as PCP—which simulates schizophrenia. The brain-on-a-chip allowed the researchers for the first time to look at both the drug’s impact on the individual regions as well as its downstream effect on the interconnected regions in vitro. "When the cells are communicating with other regions, the cellular composition of the culture changes, the electrophysiology changes, all these inherent properties of the neurons change," said Ben Maoz, co-first author of the paper and postdoctoral fellow in the Disease Biophysics Group in the Harvard John A. Paulson School of Engineering and Applied Sciences (SEAS). "This shows how important it is to implement different brain regions into in vitro models, especially when studying how neurological diseases impact connected regions of the brain."